Our Charleston estate planning attorneys represent individuals, professionals, business owners, and families throughout South Carolina in connection with creating personalized will based and trust based estate plans, which may incorporate wills, trusts, durable power of attorney, health care power of attorney, living will and other appropriate estate planning instruments. Our estate planning lawyers serve individuals and families of all sizes with a commitment to quality representation, integrity and responsiveness. Please contact our law firm to see how we can work with you – 843-564-5115. What makes our Charleston estate planning law firm different is that we were established with the interests of business professionals and growing families in mind. Over the years, our Charleston estate planning attorney has become acutely aware that our clients value experienced estate planning counsel, convenience, efficiency and affordability. Our lawyers strive to always embraces these values. Regardless of an individuals or family’s income level, estate planning in South Carolina is as important as making certain you and your family members are covered by health and life insurance policies. South Carolina estate planning may seem like an overwhelming and unnecessary undertaking for those with small estates, but this certainly does not need to be the case – see below for more information about estate planning for small estates. Our Charleston estate planning attorney recognizes that clients want to know they’ve made the best decisions for themselves and their families. For that reason, we emphasize careful attention to detail with every case to ensure our client’s South Carolina estate planning and business succession planning will be enforced when their beneficiaries depend on it most. Clients want to be certain their loved ones will be taken care of in the best way possible, and we are committed to ensuring that we uphold this interest. That is the principle mission of our Charleston estate planning attorney. Our law firm employs the most up-to-date, secure technology to make all client communications with our estate planning attorneys as effective, smooth and cost-efficient as possible. One of the most common complaints with Charleston estate planning attorneys is that they are rarely accessible and seldom responsive to client concerns. Our law firm has implemented targeted systems to promote proactive and responsive communications with our clients. In fact, for the majority of the estate planning matters we handle, we’ve thrown out the traditional hourly billing systems so that you don’t have to be afraid to email or call us with a quick question (or even a not so quick question). The majority of everything we do is billed on a flat-fee basis, agreed to in advance, everything is transparent and there are never any billing surprises. Estate planning in Charleston, South Carolina is more than just having a simple will. Broadly defined, “estate planning” is the process of planning for the accumulation, conservation, and ultimate distribution of a persons assets. The most popular definition of estate planning in South Carolina is the process of planning for the life-changing events of disability and death. This perspective also includes an emphasis towards estate tax reduction and avoiding probate. While this is a foundational perspective, our Charleston estate planning attorneys believe clients should also be mindful of the broader goals and purpose of estate planning. Regardless of an individuals or family’s income level, estate planning is as important as holding policies for health or life insurance. Estate planning may seem like an overwhelming and unnecessary undertaking for those with modest income and assets, but it does not need to be. For more information, see our estate planning faqs page and our page on common estate planning questions asked by clients and prospective client throughout the years. providing an orderly and fair means of managing and distributing property in case of disability or death. Our Charleston estate planning attorneys combine their collective experience and technical expertise in various practice specialties to serve and deliver estate planning specific solutions. We work with families, closely-held businesses and other related professionals to ensure that the estate plan established by our clients during their lifetime are respected into the future. Estate planning, in the long run, costs little or next to nothing, and amounts to a present investment to provide current and future accumulation and conservation of assets through maximizing opportunities and lowering risk exposure, estate planning costs, probate, and unnecessary taxes. Estate planning yields benefits for family and loved ones in the short-term and substantial long-term advantages when tragic life-altering events do arise. In general, estate planning extends a persons intentions, values, patterns, and priorities to future circumstances in which he or she will not be able to actively participate. It produces a plan that will strengthen and preserve financial security and order for family and loved ones. The primary motivation for many of our clients is the protection of their family and loved ones. Everyone understands that it is possible that a tragic life-changing event could happen at any time, such as illness, incapacity or even death. These tragedies are rarely predictable, but they are almost always inevitable. Many times these life-altering tragedies can bring about distress, chaos, anxiety and confusion among family members — not to mention the added burden of legal fees and involvement. Without a thoughtful, comprehensive estate plan, these life-changing events may fall under the discretion of court-appointed government agent rather than under the care and consideration of a family member or loved one. A poorly constructed or hastily devised estate plan might also incur unnecessary administrative fees, frivolous court costs, probate, unnecessary attorney and accounting fees and avoidable taxes. Additionally, clients with a properly developed estate plan will have ensured their minor children are cared for by those who are best suited to provide the best home rather than letting a judge decide. The South Carolina state legislature has established policies and procedures for estate administration in the event that an individual experiences physical or mental incapacity and becomes otherwise incapable of carrying typical estate duties. These statewide plans though rarely work for the benefit of a client. In many cases, the lack of an estate plan and the obligation to follow these state procedures can result in a costly and unpleasant process for a client and their family. The most important lesson in any of these events is that clients should always be proactive when establishing an estate plan. Corrective or retroactive estate plans are an uncommon and difficult ordeal, which is why it is important to consider events such as inheritance, incapacity, asset protection, trust administration, guardianship or business succession ahead of time. Our Charleston estate planning attorneys offer guidance and legal expertise for the entirety of the planning process so that clients can focus on understanding, communicating and protecting their interests. Some people believe they don’t need to concern themselves about “estate planning” because their estate does not have great value, but Charleston estate planning actually has much less to do with estate size than one would assume. Estate planning focuses on the value of people, relationships, special concerns, and efficient and effective administration. The size of an estate is actually secondary to most estate planning issues. 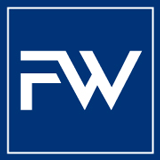 When considering the value of an estate, it is important to include privately owned life insurance, employer-provided life insurance, travelers life insurance, double indemnity-type life insurance, other accidental death life insurance, workers’ compensation coverage, personal injury claims, wrongful death claims, other employer-provided benefits, mortgage insurance, and other resources to which a persons estate, family or loved ones might become entitled by reason of death. The value of these estate assets are generally significant and they can add up fast. Suppose you needed surgery and when you were wheeled into the operating room the surgeon who was performing the operation asked you if you had brought the surgical and anesthesia tools and equipment. This may be absurd as a medical example, but it is an analogous legal estate illustration. In an estate situation, the lawyer looks to you to have prepared the tools and equipment to be used in your estate settlement. The lawyer’s ability to do better “surgery” on your estate is most often limited by the tools and equipment you have prearranged. A Charleston estate planning attorney, Charleston probate attorney, trustee or personal representative, when assisting with an estate situation, needs to have the proper tools available, which you must provide for him or her to use. 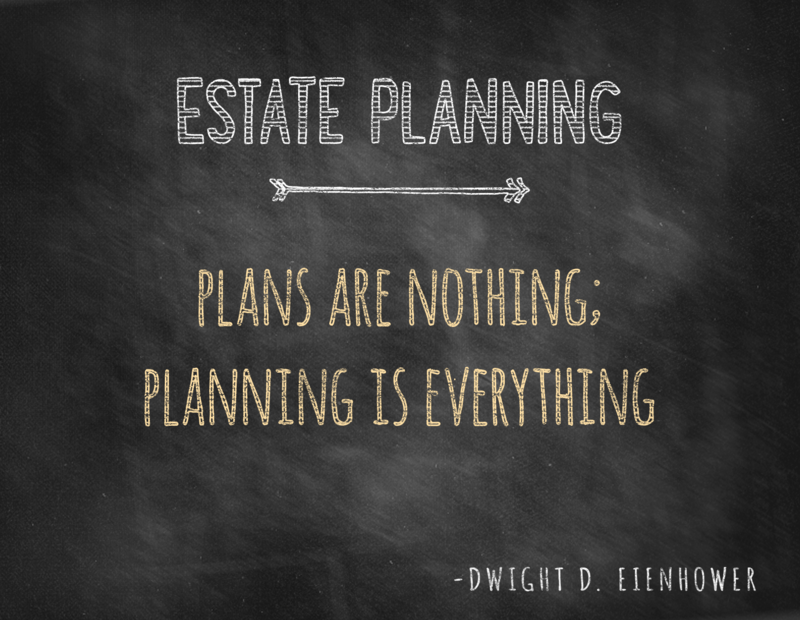 So the question is, what are the essential tools to consider for estate planning? Simple wills, revocable living trusts, a durable power of attorney, a health care power of attorney, and living wills are usually considered the most important estate planning devices to preserve assets, facilitate inheritance, invite estate tax benefits, and create legal protection for personal, family and business objectives. Some clients wish to establish three estate planning documents for simplicity, but many others find added-value in the additional protection of four or five estate planning tools. Our Charleston estate planning attorneys make responsive communication a high priority for our clients. In fact, our central mission is to respond to all client emails and calls within one business day. We are committed to ensuring all our clients’ questions, concerns and problems are addressed with individualized attention in a timely manner. Our attorneys strive to attend to all of our client’s estate planning matters so that we can meet our client’s objectives appropriately and continue to provide effective counsel throughout his or her lifetime. We’ve created dynamic estate planning membership programs to keep our clients estate plans up to date year in and year out as well as provide clients access to our attorneys on any other legal matter in the various disciplines in which we practice. There are many opportunities in estate planning to enhance a client’s security and better provide for his or her loved ones. For that reason, we think it is crucial to install the proper personal and estate planning and estate administration documents so that the best tools are available to our clients and his or her family when they need them. We offer our estate planning clients with the service of periodical analysis of his or her estate plan. Our clients also benefit from the array financial planning goals set up by estate planning, which include: minimizing taxes, eliminating disorder, avoiding unnecessary costs, and preserving assets. It is important to celebrate and honor your individual worth and value your relationship with your loved ones by establishing an appropriate estate plan and keeping it update. A significant part of the inheritance you leave to your loved ones is the lasting memory of how you left them – hopefully, in excellent order. Our Charleston estate planning attorney, Reid Green, makes estate planning as easy and simple as possible for her clients. Our law firm offers a free review of any estate planning documents currently in place and free consultations for those with questions about putting an estate plan in place. Please call us at 843-564-5115 to schedule your consultation. The use of this form for communication with our Charleston law firm does NOT establish an attorney-client relationship. This form is only to initiate communication between our business law firm and you. One of our corporate attorneys will contact you within 24 hours (1 business day) to discuss your legal matter and the terms of engagement. Plan for legal guardians of any minor or unborn children. Provide advanced directives for health care. Appointment a power of attorney for financial transactions. Appointment a power of attorney for health care related decisions. Plan for and minimize death taxes. Ensure your property passes to the people you want to receive it. Ensure your children do not receive a windfall in their developmental years. Avoid having your representatives and/or beneficiaries deal with the probate court. Our Charleston estate planning attorneys make estate planning as easy and simple as possible for clients. Our law firm offers a free review of any current estate planning documents and free consultations for those with questions about putting an estate plan in place. 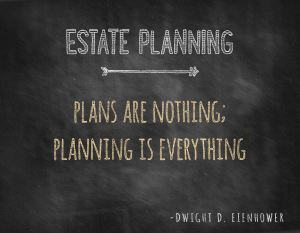 Please call us at 843-564-5115 to schedule your complimentary estate planning consultation.